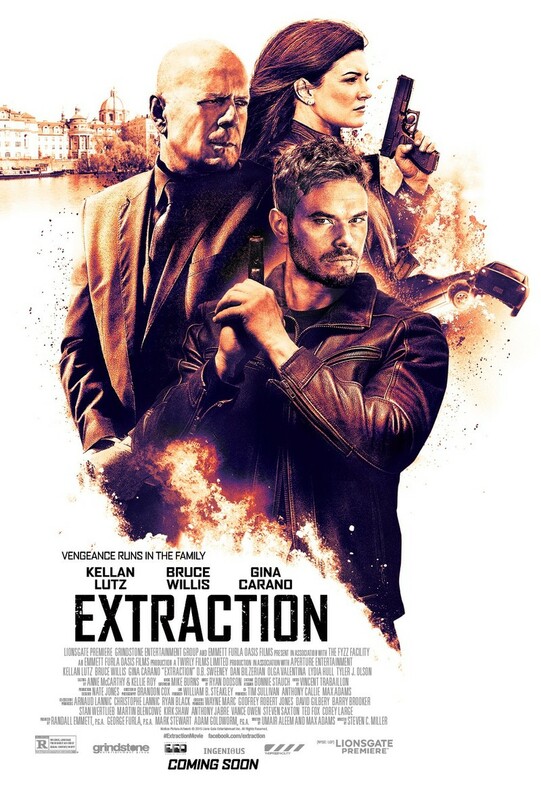 Extraction DVD and Blu-ray release date was set for February 23, 2016. A gang of terrorist kidnaps a retired CIA field operative. When his son, a government analyst, finds out that his father has been kidnapped, he decides to start his own rescue mission even though he doesn't have permission to do so. During his dangerous mission to save his father, he has to try to evade everyone from deadly hitmen to worldwide terrorists. He makes use of his combat training during his dangerous mission to save his father as he realizes time will soon be running out before the terrorists strike.